I am here to tell you about a wonderful software / proxy called DragonProxy. 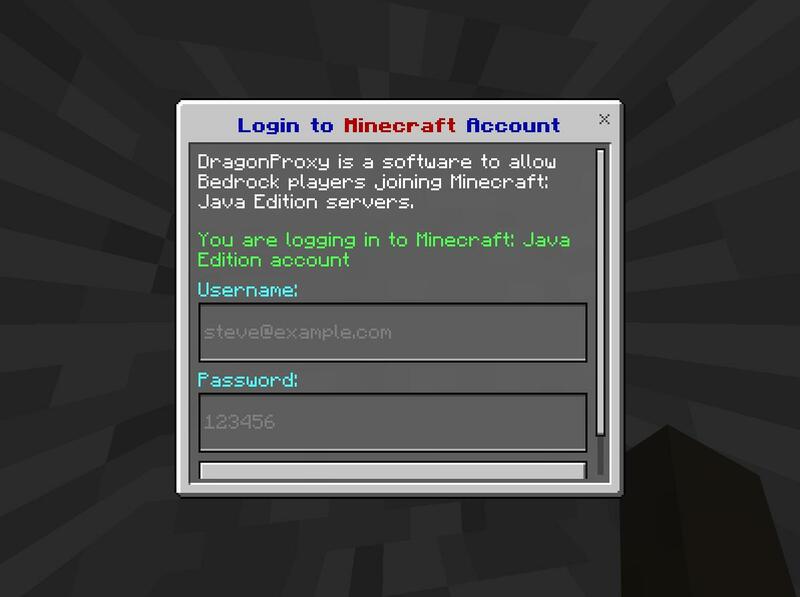 It allows you to join Java edition servers (Sponge, Spigot, etc) using a Minecraft: Bedrock Edition client! It is for Bedrock 1.2.10 and Minecraft 1.12.2. We may add backwards compatibility in the future. Note that these features are when joining the PC server via DragonProxy. If you connect from a Java edition client then you are connecting directly to the server and everything will work as normal. Fly around with an elytra! Attack people! No red hit animation yet though. We apparently support Docker as well. Didn’t know about that lol. VIDEO SHOWCASE: The uploader has deleted the video. If you wanna make one, link it in a comment! Automatic login is supported if you are lazy and feel safe with putting your login credentials in the config file. Also if a Java player is dual wielding then you cannot see the item in the offhand.